The British are claiming Halloween for themselves. Are Americans guilty of cultural appropriation? 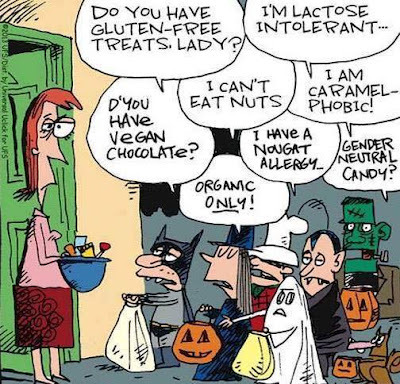 There will be a lot of micro aggression tonight as hoards of goblins descend on neighborhoods to harvest candy. I will be there, as you may have guessed - accompanying my terrifying granddaughters, and then retreating to the castle to appease the spirits with (non-British) sweets. The witches holiday, which everyone expected to favor Hillary, has become a bad day for Team Clinton with Danny Williams, reputed half-black son of Bill (Slick Willy) Clinton scheduled to speak at the National Press Club tomorrow. 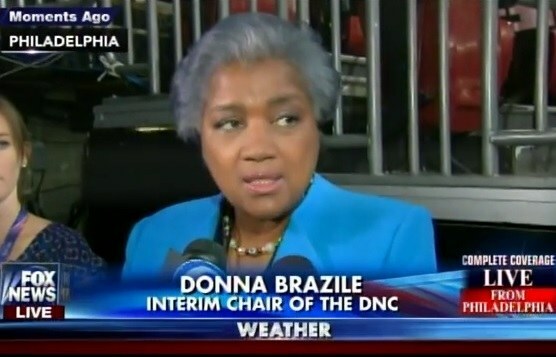 (Gateway Pundit) CNN says it is “completely uncomfortable” with hacked emails showing former contributor and interim DNC chair Donna Brazile sharing questions with the Clinton campaign before a debate and a town hall during the Democratic primary, and has accepted her resignation. My sense is that the Democrat National Committee needs a(nother) new chair person. It's become a revolving door with the dower and corrupt Debbie Wasserman Schultz exposure and now Donna Brazile is shown to have given debate questions to Hillary. Thank you WikiLeaks. The corruption in the Democrat Party is pervasive and apparently eternal. They just can't help themselves. Happy Halloween! It's a great day for a witch hunt. The only question remaining is whether FBI Director Comey gored the ox sufficiently. However when I think of the Clinton campaign now, I can't help but connect it to Anthony Weiner in my mind. The Clintons suggested that the FBI couldn't read Huma's e-mail because they didn't have a warrant - then it surfaced that Weiner gave permission to the FBI to examine the computer that he shared with Huma Weiner. Oooops. 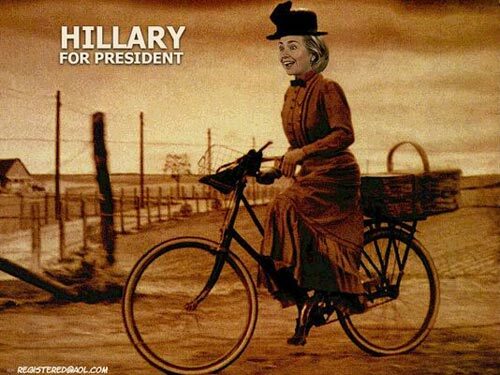 I suspect that Hillary ought to be careful what she's requesting. If Huma has a few classified e-mails on the Weiner computer, the FBI may take the unprecedented step of making them public (with redactions of specifics that made them classified). Or not. At this point, what difference does it make? Even before this, the Clintons moved $1.8 billion to Qatar (about a week ago now) for their bolt hole should Trump win and the investigation be put into high gear. Between Obama's conduct and that of Hillary Clinton/The Clinton Foundation, there's enough to keep ten justice departments working around the clock for a decade. 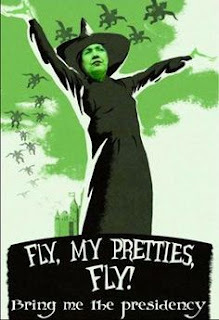 The Flying Monkeys made the Sunday news programs and were decidedly unconvincing as they dodged and weaved around the questions put to them. 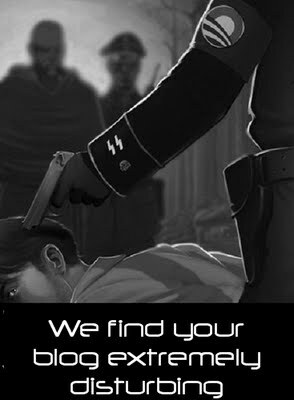 Theirs is a difficult case to defend.